Our second day was spent traveling from Columbus to Nashville and perfecting Karen's stick shifting. After a trip to the MINI dealer, which determined that we needed and O2 gauge, a part not in stock in Columbus, we headed on our way, happy to hear that MINI of Nashville had the part in stock. I drove for a few hours before I handed over the wheel to Karen. 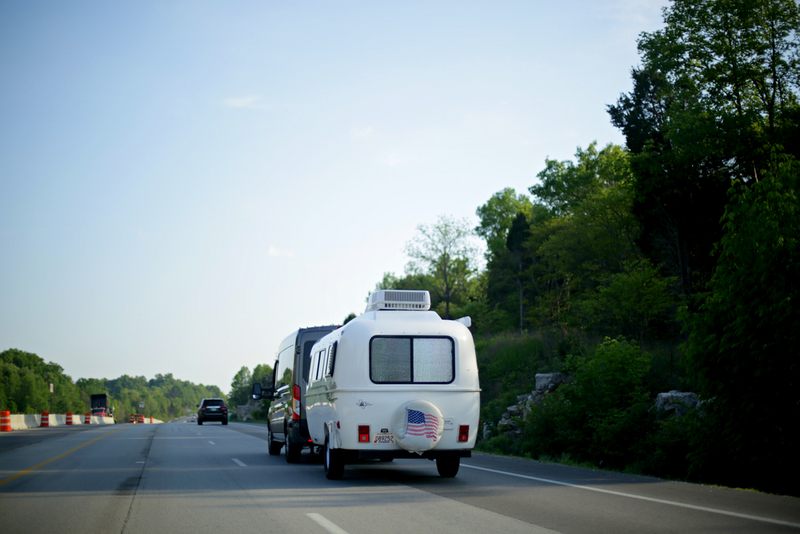 She handled Roxanne (the MINI) like a champ, even when we headed into rush hour traffic outside of Louisville, KY. Starting and stopping is the hardest part of driving and standard. That type of traffic is quite a challenge. After making it through Louisville's traffic, we continued to Nashville, and stopped for some waffles at Waffle House. We chatted with our server, who seemed interested enough in our project, so we mustered up our courage to ask him if we could photograph or film him. And right then and there we had our first rejection in a Waffle House in the middle of nowhere, Kentucky. Dejected, we carried on. 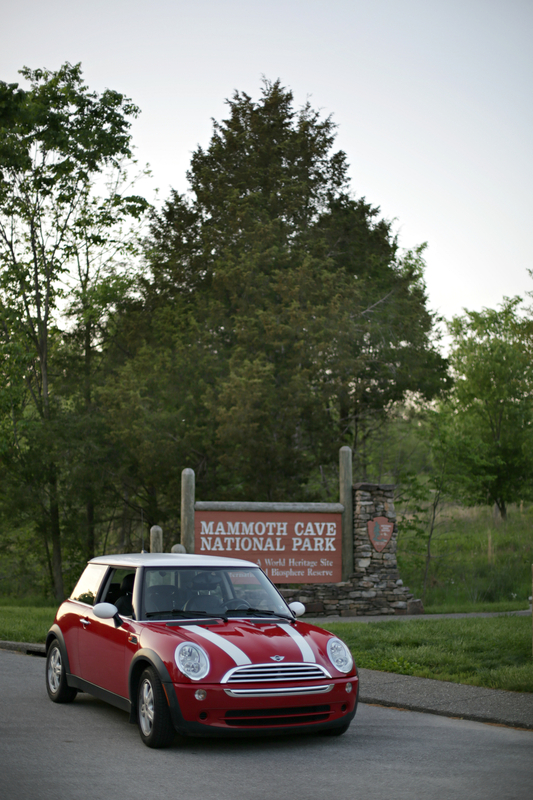 A little ways out, we saw a sign for Mammoth Cave National Park. Excited and somewhat on time for our destination, we decided to stop. This is, after all, a spontaneous road trip, isn't it? 30 minutes later, we were rolling into Mammoth Cave National Park. We were somewhat surprised that they were closed at 7:30 on a Thursday. And despite the glaring CENTRAL TIME sign that was painted over the entrance of the building, we still got quite confused, but that comes a little later..
We walked around, enjoying the quiet hum of nature. 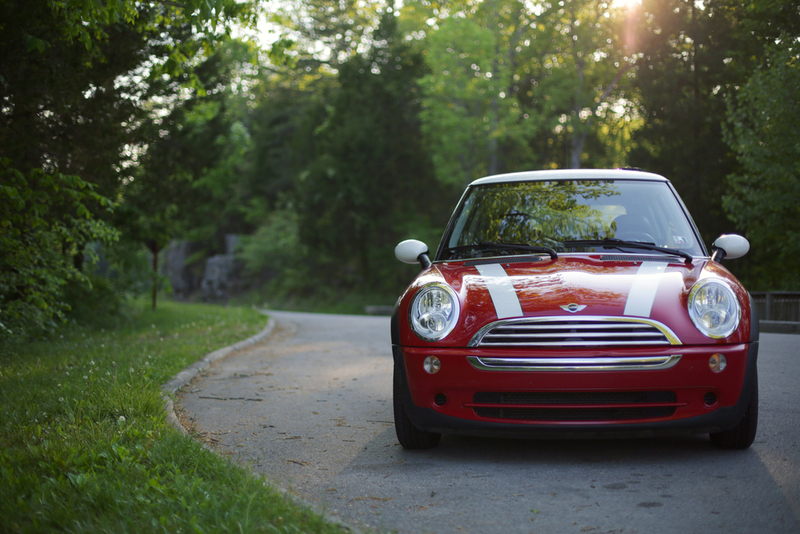 We exclaimed over squirrels, delighted in little bridges, and photographed that crap out of one pretty adorable MINI Cooper. After our hour jaunt around the park, which included Roxanne's first ferry ride, we got back on the road to Nashville. 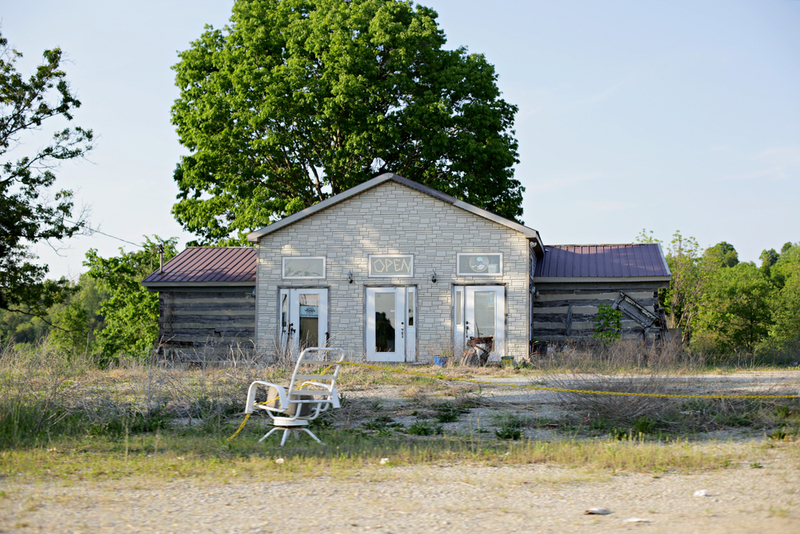 We began to panic, seeing as the GPS said that we would arrive almost 2 hours after our planned arrival time. We quickly sent a text to our couchsurfing.com host, Kit. It was about an hour later that we figured out that we had changed time zones.... With great shame, we texted him again, stating that we'd be there sooner than our last report. Convinced that he thought we were the stupidest people he would ever meet, we then struggled to park... Luckily, we made it into the house, hopeful that our embarrassment was over for the night. We were able to turn it into a laugh, by joking that we were time travelers. We were semi successful at alleviating our embarrassment. We found our accommodations through couchsurfing.com, a website dedicated to cheap (free) sleeping arrangements. The hosts fill out profiles and then get reviewed by the guests that they host. For example, our host came highly recommended by 97 different people. Our host, Kit, was so kind to us during our first night. He introduced us to the place, insisting on offering us water and letting us play with the dogs. Before we got too settled, we walked to a near by dive bar to grab a drink with our host. One of his friends met us there, and we talked everything from our miserable attempt at time traveling to softball statistics. As it turns out, our host and his friend are rather intelligent and well traveled. It was daunting attempting to understand the differences in their lived experiences verses my own. They were kind to us and made us feel quite welcome in the (swelteringly hot) city. After one drink, us weary travelers walked back to the house, happy to seek sleep. I somehow ended my night curled up with two dogs on a rather comfortable couch. Not a bad introduction to a city in my opinion. Keep up with the wanderers on Instagram and Facebook by searching #thewanderingthree! Thanks for checking in on our journey! !